NASA – Recently, the NASA/ESA Hubble space telescope gave astronomers the opportunity to observe some mysterious objects called quasars more closely. For a long time now, scientists were unable to understand the source of the bright light they emitted. They now found eight looped shaped objects that shun in a greenish hue for a brief period before disappearing into oblivion. At the centre of many galaxies there are massive black holes. They are surrounded by these quasars that are super charged small regions of electromagnetic energy. On account of this they are illuminated by the huge amount of energy they receive from the black holes, which in turn get their energy from their immediate surroundings. The study revealed the complex nature of these galaxies that have such energetic cores. For the first time they probably got an answer to the bright light that was being discharged and concluded that it was on account of the powerful UV radiation present in this region. Also, the quasars being extremely full of energy, all the falling bodies in this region are super heated to the point that they emit powerful light and since they fade away quickly were termed as ‘ghosts’ of quasar. 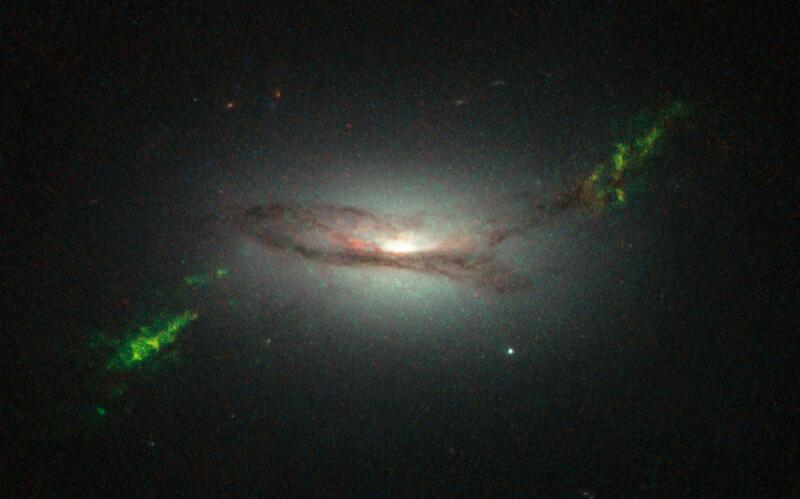 NASA also reported that the images they captured of these ‘green ghosts’ were found in eight different galaxies as well. Each of the quasars and the objects that display this powerful light almost form a cloud like image. However, each of these is different in shape, size and structure. Scientists could not identify two of the same kind. Interestingly, the study revealed that what we are viewing today is only a pale shadow of itself. There was a time when the light emissions were far brighter and stronger. They once possessed much more energy than what is witnessed currently. Apparently, they are changing quickly which is unexpected according to their nature. Some researchers are of the opinion that this unusual behavior is mainly on account of the quasars moving around the black holes and are constantly moving around one another causing the brightness levels to decline with time.